Financial support from the LGBTQ community has helped Buttigieg defy expectations by raking in more than $7 million in just over two months. The money has come from grassroots supporters like Burrell and big-dollar Hollywood donors who hope Buttigieg will make history — or at least the summer debate stage. 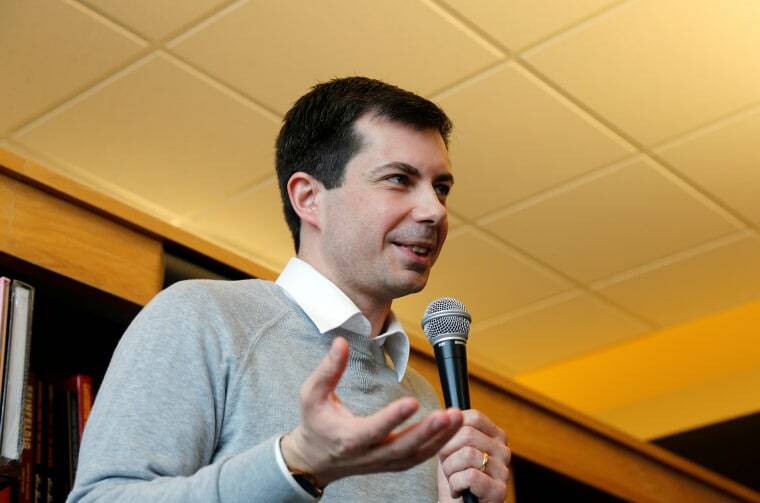 The Buttigieg appeal was on display again this weekend when the mayor of South Bend, Indiana, and his husband separately headlined galas for two of the country’s largest LGBTQ organizations. And the early haul shows no sign of slowing. Victory Fund, which invested $2 million in LGBTQ candidates in 2018, expects to endorse Buttigieg shortly after he formally joins the race, President and CEO Annise Parker said. While his upstart campaign benefited from the gay community’s support, he didn’t rely on it. Buttigieg says he received donations from nearly 160,000 people between late January and March 31. About 65 percent of contributions were less than $200, with an average donation of about $36. He also talked about violence against transgender people, particularly black transgender women, and the importance of passing the Equality Act, a sweeping LGBTQ-nondiscrimination measure.